WILLEMSTAD - The new tariffs for fuel, water and electricity are known. 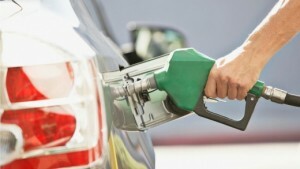 On Tuesday, October 3, the price of gasoline will rise by about 10 cents per liter. Now rounded at 1.62 guilders, it goes up to 1.72 guilders per liter. Diesel will be about two cents more expensive: a little more than 1.10 guilders. Propane gas stays remains the same: 40 guilders for the contents of a large cylinder and 8 guilders for a small one. Electricity will become cheaper on the base rate on October 1 but will continue to be more than 46 cents per Kilowatt Hour. The base rate for water goes down: from almost 7.32 guilders per cubic liter to over 7.27, a decrease of 5 cents.